Is there anything more, heady, wonderful, joyous, and down-right terrifying than falling in love? That first exhilarating rush of emotion comes with more highs and lows than the most twisted roller-coaster ride ever devised by man. 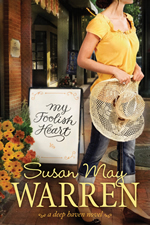 Susan May Warren has managed to capture that euphoria and angst and weave it throughout the pages of My Foolish Heart. Issy, Caleb, and the other characters that populate Deep Haven are straight-forward, down-to-earth, flawed individuals trying to live the best lives they know how. They are just ordinary people like you and me — and they came off the pages and into my heart with incredible ease. This story took me from laughing out loud to sniveling in my hanky and back again. When I got to the last page and closed the cover I wasn’t ready to leave Deep Haven. Happily, there are several more book in the series so I won’t have to just yet. Susan’s larger than life characters and layered plots have won her acclaim with readers and reviewers alike. A seasoned women’s events and retreats speaker, she’s a popular writing teacher at conferences around the nation and the author of the beginning writer’s workbook: From the Inside-Out: discover, create and publish the novel in you!. 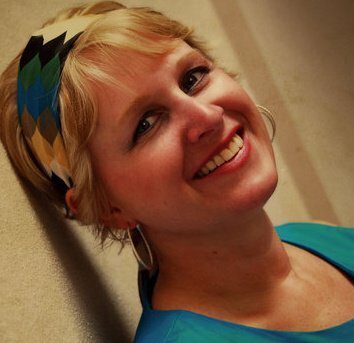 She is also the founder ofwww.MyBookTherapy.com, a story-crafting service that helps authors discover their voice. Win a Romantic Night on the Town from Miss Foolish Heart! To celebrate this charming novel about a dating expert who’s never had a date, Susan has put together a romantic night on the town for one lucky couple. One grand prize winner will receive a Miss Foolish Heart prize package worth over $200! This does sound like an interesting twist! Falling in love is very stressing, tiring, unnerving, and I am very happy that these times are over, because now I have a steady love and don’t have to fall anymore ! Definitely a fun book! I always love reading your reviews. Sounds like a nice book. I detect if is written mostly for women though. You never know who lives next door. A neighbor a couple of blocks away was drunk and knocking beating on doors on our street. He missed ours but the neighbor lady called us at 1:00 AM. She had called 911 first and was told to lock herself in the bathroom until the constable force could get there. We turned all our outside lights on and that probably scared him away. He was shirtless and had many tatoos. Of course the neighbor lady was scared. I would too if my husband was gone for the week like hers. He was captured down the street at another door by a constable deputy. Mrs. Jim helped them find the first house. One deputy stayed with our neighbor while the other went down the street. We don’t know this man. We surmise that he had a problem at home and was tossed and locked out of the house after he got drunk. He spent the night in the jail. I will read the constable report in the paper next week to see who it was. I am sure I don’t know anyone like this man. As I said, we don’t know who lives next door. It could be someone who needs help like the prime character in the book above. After talking with him I probably would have taken him in if he beat on our door. Isadora Presley probably would too if she had someone strong at home to back her if need be.